I have a BIG GOAL. To help 1000 people become authors, using the Epic Author System and Epic Author Academy. So today’s episode is an INVITATION to join me. Become an author. ​Don’t wait another minute to share your story with the world. 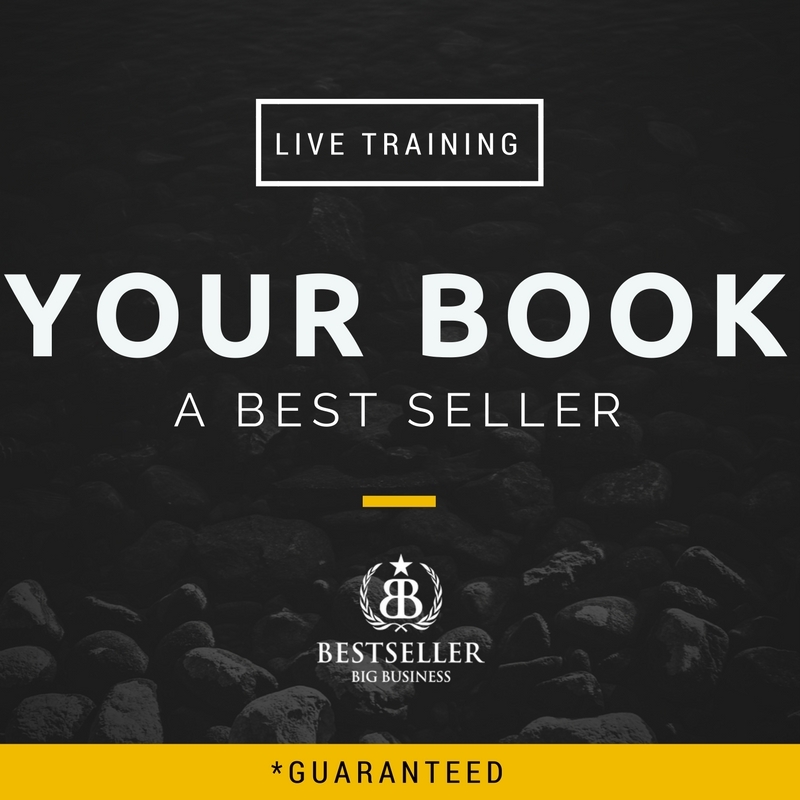 Join me, and I’ll show you how to get your book ​done,​ and make you a bunch of ​money, and ​make a difference​ in people’s lives – starting TODAY. If you wrote and published THE RIGHT book, what would be different in your life? Find out the details, and get our help to publish your book by going to ​epicauthor.com. Sign up for the training. Welcome to another episode of greatness quest. I’m Trevor Crane. 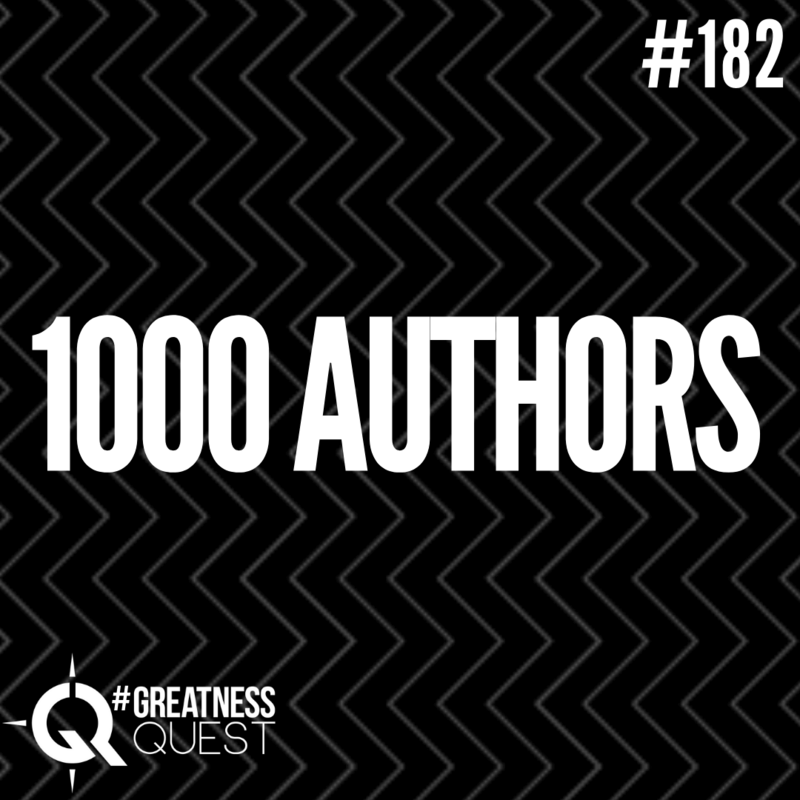 And today’s subject is called 1000 authors. I’ve got a brand new announcement to make, an invitation to go ahead and invite you to join me and help you become one of those 1000 authors. And then pretty soon, and I’m going to go ahead and and reveal to you what this is. This actually says here, you are a badass. I’m looking forward to talking to you about your bed accessory on today’s show. I’m going to write some cool stuff on that board and reveal some things to you. I know you’re gonna love the show. Okay, so welcome back. For the last few days, I’ve been talking about. And I’m in my office right now you can see all the madness I’ve got on my wall. For the last couple of days, I’ve been talking to you about a new goal that I’ve had a new goal, just fix this real quick, a new goal that scares me a bit. Because I’ve never done I’ve never set a goal like this in the past. And I’m asking for you to join me and help me I’m really was that to meet my goal of helping 1000 new authors get the party started, like start their book and get it done that I’m going to need some help. So I’ve got a cool new offer for you. And what I’m going to also do is give you a gift today. And I will send you a book that I have. So I’ve written now 11 books that have become bestsellers. And if you want you can go get this book for free, you can get an envelope like this. I’m going to ship it to you. It is called ​Big Money With Your Book Without Selling A Single Copy. So if you want, you can go to ​trevorcrane.com​ for such big money. And you can go get this book. And in there, you got some cool bonuses, I’ve got a golden ticket that gives you a ticket to a new event that I have coming out. And you’ve got a little letter that comes inside of it as well. That actually wasn’t the purpose of today. But I just figured you might as well figure out how to make big money with your book because it’s talking to a friend of mine today. And he has a pretty successful business. He’s helped influence hundreds of thousands and millions of people. And we were talking about how a lot of people want to get a book done. But not everybody wants to get a book done. And it’s really only a piece of the puzzle. So what I want to share with you today is a little bit about what I’ve put together for epic author publishing not going to share with you these secrets. This is on the webinar. Oh my god. And to invite you to become one of the thousand new authors that I want to get started with Epic other publishing before the end of the year, you can find out what is going to be unveiled like I’m Vanna White. I’m going to share with you the three DS on the webinar that I have that teaches this it’s a private training that will be you and me depending on the link that you go to your the signing up for me live. Or you’ll see the best and most recent replay that I have of this good epic author.com to find out those details. And I’m going to share with you how you can join the new 1000 authors. And then you’re going to love the campaign and the love the training that I have there for you. And it’s an invitation. And I say that I need your help. Because I not only want to help you become an author, but I want to incentivize you to help me share this with others. And so for right now, the short and skinny on that is I have a goal is to help inspire and create 1000 new authors before the end of the year, like holy crap like this is really three months left. So I need to get a lot of support and help here. And this was the goal that I did not want to share. This is the goal that I thought was so big and too big and scary for me that I wouldn’t be able to make it happen. And instead I’m sharing it. And I want to find a way to make it happen. So I totally need your help. Now, what I want to show you today is not just talk to you about 1000 authors. But kind of talk to you about the difference of like why of what else I think there’s actually four things I think you need. 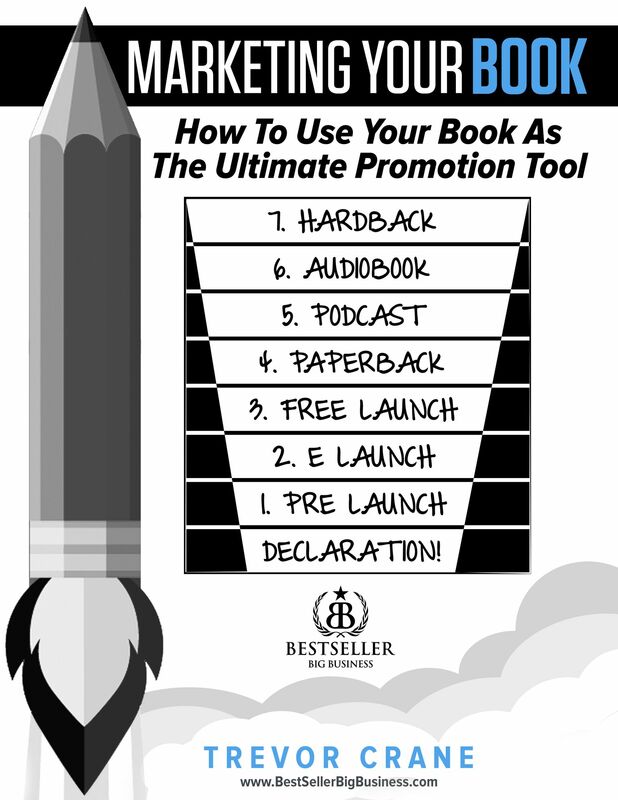 And I’m give, I want to give all of those four things to you in our new epic author program. So these are like the four foundational pieces of a brand or what I call building an ideal business. So you can live your ideal life. And let me change this video for you real quickly. Here, you all four of these. So real briefly, I don’t know if you’ve ever done this before, if you’ve ever gone hunting, or if you’ve ever looked through a look through like the gun sight on something, there’s this crosshair. And so I want you to imagine that crosshair. And what this is, if that was in the center. There, you see, there’s actually four quadrants. And what I believe we’re a book shows up is down here. And if you think of everything south of this line as being the foundation of your brand, then without a book, I’m going to turn this off with that whole incident. Jess, I’m in the middle of it, of doing it. Can I call you back in three minutes? Okay, thanks. Bye. Alright. I’ve an appointment. Then forgot about it. All right. So you need it, you need a book. If you don’t have a book, you really don’t have an establishment of your brand and your business. I mean, I talked to people that your friend of mine and it has told you about he’s been working on this book for a while. And he’s finally let me help them just push it through and help them get it done. But you need a book. But you also need another foundational piece. And it is what are you going to do for marketing or this actually says broadcasts, I’m not sure if you can read that. Okay, how are you going to broadcast this amazing message of your new book to the world? By who? It Who are you? And what do you stand for? My goodness, I’ve got a picture of Muhammad Ali in my office because he’s he represents to me what I think is someone who’s who, who said, gigantic goals and then was able to accomplish them. Who are you? And what do you stand for? And who do you help and who do you serve, there is nothing that demonstrates that like having a book. But if you have a book, most people have a book and they don’t have what I call, they don’t do an epic launch with it. They don’t understand the marketing, the monetization plan behind it. They don’t know how to help you monetize your mission, you me these two things, you need a book to establish your brand. And then you need a way to share with the world. But then what see if you’re missing this next component, you’re kind of screwed, because you can’t even it’s very, I would say you can’t, it’s very difficult to make money selling your book. Because if all you’re doing is making $1 per book, you gotta sell a lot of books. Now, if you’re already somebody with massive amount of influence, and you have hundreds of thousands of millions of people following him selling a $1 book is going to be brilliant, because then they get all of your awesomeness for a buck. But if you’re having a challenge in your chasing clients, or your you, you want to elevate your brand and establish your expertise in the marketplace. Just making money on book sales is tough. So you need some other things. So what you need in this top category here is really simple. You need products and services that you can sell, can you see that you need products and services that you can sell? So what are those things? Well, wouldn’t it be cool if you had a course that you could sell that would scale or a coaching program? How about a course and a coaching program and maybe a high level consulting program, see there’s, there’s It is time to go ahead and digitize and automate and put you on demand, maybe on demand in your hand. That’s what I want you to have is not just have a book. But that stuff that you can sell products and services that are behind it. If you’re not in demand in their hand, then they don’t know who you are. And you won’t monetize and you need to have some options. You need to have like a small all amount of money thing that they can buy from you. You have maybe a slightly bigger one, you have like a large one that’s $3 signs. And you have an all the above where you put in for there. But what are the products and services and if you are missing if you don’t have stuff for people to buy beyond your book, you’re screwed. My daughter made $1,000 the other day. where’s where’s this? Oh my god, I should not have shown you this. This was on my desk.Yes, I haven’t done a hold on my dorm $1,000 on a book here on my wall. I was not what I was looking for. 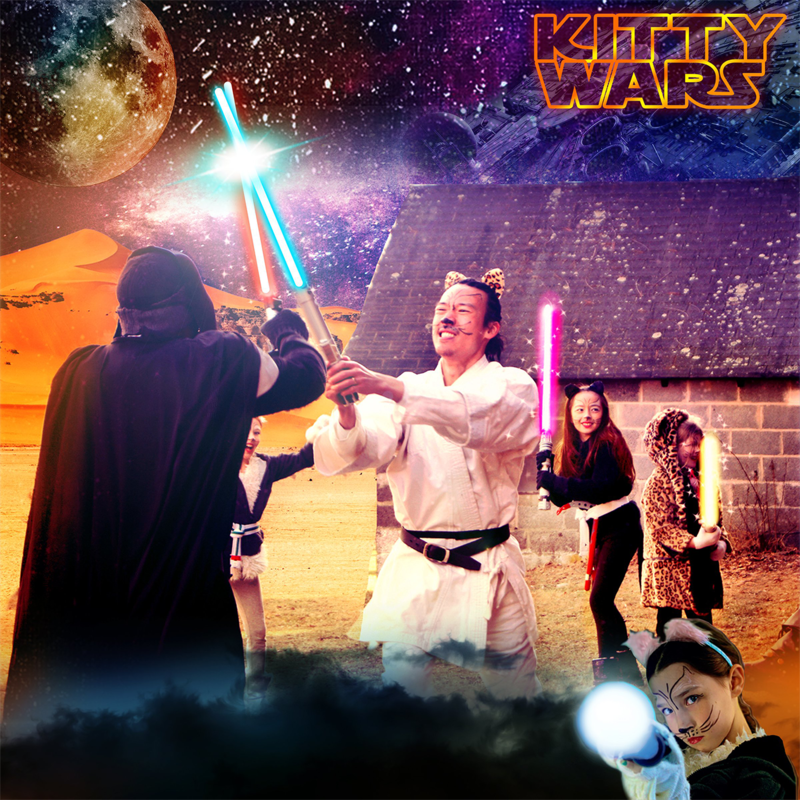 But my daughter and I just taught a workshop recently to teach some kids to publish books. And she’s on a mission to help 100 kids become kids book authors. And so she wrote this book when she was seven years old. We just did a workshop teaching some kids and their parents about how to publish kids books. 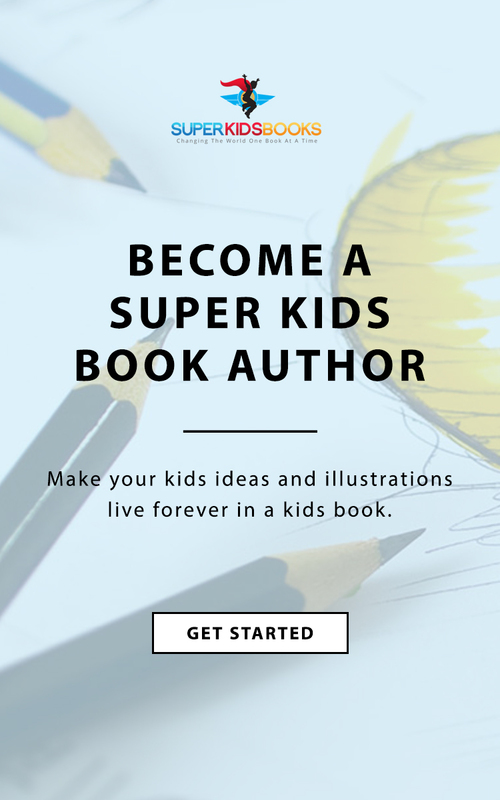 I thought I had a kids book we have wrote a book called you can write up super kids book. Our program is called Super kids books. And my daughter made $1,000 the other day in a weekend. Actually, she made $1,000 in two hours in she enrolled these kids in a program by offering them a product and a service that we can help them with. We only had a dozen kids in the program and be there was only 10. But their parents decided we would like to buy more stuff from you. Because we had something to offer them. My daughter made $1,000 in two hours. If an 11 year old kid can do this, you can too. 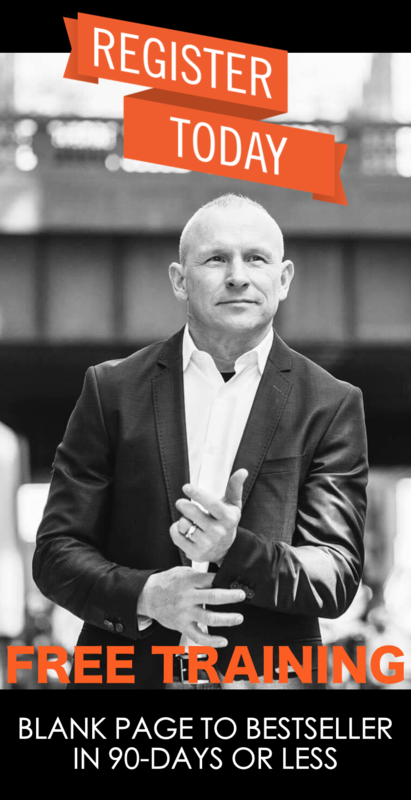 So what I’m sharing with you are a four segments of what I believe having it building an ideal business you need and if you’re an entrepreneur and you work for somebody else. I still think you need these things elements you need to build your personal brand but the fourth part to this little thing and then I’m going to finish today’s show because I didn’t even know I was really going to talk about this. But I wanted to share with you the thousand author mission and invite you to be one of those authors and help me share this with other you can find the details at epic offer car we jump into this fourth thing what’s my lucky color others use black again. So I make sure you can see it you need to have a way to sell what’s the mechanism that is going to go ahead and convert people I was talking to a buddy of mine who’s built not a billion other company yet but he’s on his on the path hundreds of millions of dollars. And we are talking about what on providing right now with Epic author publishing and how giving so much you’ll find out the details of ​epicauthor.com​. I’m getting so much for almost no money, a very small investment on your part because I want to partner with you. And I want to help incentivize you and I want to give you ways that you can build all of these. Fortunately for you. Unfortunately, what I’m putting in this program is I can help you in the process of writing the right book, do some amazing marketing and broadcasting of your message to the world. While at the same time you create products and services that you can offer and start to sell. My first book that I wrote that helped me 10x my income is called ​High Paying Clients​ when it comes to how do you sell what to say how to say it, what to ask how to listen how to make money. I can help you make big money with your book before you write a word. It’s because I understand how you go ahead and sell and influence and I understand how to create a book and excuse me to create a course and a program a coaching consulting on this at the same time. There’s another one of my books ​One Hour A Day To Six Figures. 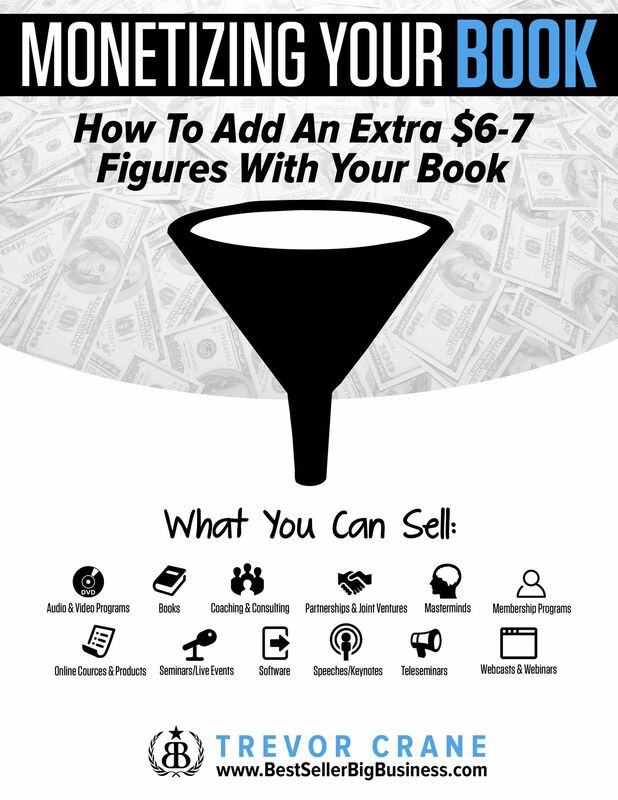 We created a course turn that into a book and now we have more products and services that we can sell an offer and things that are bonuses that you don’t even know about you won’t even hear about these necessarily all on epic on the webinar. I’m sharing with you but it’s stuff that I give you an epic off their program it’s really an ideal business ideal life blueprint it helps you do all of these at the same time you want more speaking gigs to that you can go ahead and promote your brand out to more people who want your stuff. You need the right book you get all of these four things in my new program for epic author Academy and I gotta do is go to ​epicauthor.com​. and check it out sounds very much like I’m trying to sell you to go to this train. Yeah, I am. And I would like you to join me on this journey of trying to help 1000 people share their message. I’ve got on this poster right up here above my desk. It says your message matters. 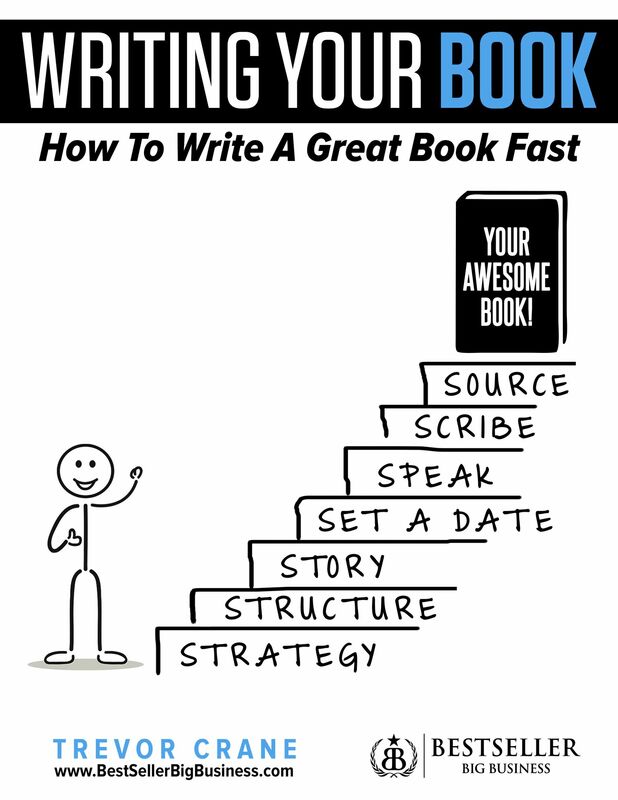 And one of the books I wrote is called ​How To Write The Right Book ​ and get it done really fast. Okay, it’s basically my whole program is based on that. Here’s the thing. Just recently, a friend of mine passed away. And I don’t know if you heard me share this story or not. But he he died at his own hand.He took his life. And I would have never thought that anybody in my world would have ever been so depressed and so upset. And whatever the challenges were, they were going on for him. I never thought in a million years that that could happen on my watch a friend of mine, that it enrolled in one of my programs, in fact, but the truth is, Is this his exposure to me, and whatever cool stuff, I’ve got four people that I’ve written books and all that stuff. And whatever messages I put out, and my friendship was not enough. But maybe what I choose to believe is that it’s my job, my responsibility to help you tell your story. What’s more important than my books is that you get the chance to tell your story. And I believe your message matters, I believe your message could have made the difference in this guy’s life. Or that your message will make a difference in somebody’s life. And that it’s not about one person. But it takes a village sometimes to help create results. I went to a training recently, and I was asked to come up on stage and hold a big log that this gigantic like telephone poles size. And I don’t know if you know this, but I’m not the biggest guy. So they put me in line and I’m there with about a dozen or other guys. And we’re holding this pole up in the air. And after a while, my arms got tired. And I got to stand up on my tippy toes, just to get high enough to hold this log up. And they’re having a repeat this mantra. And the mantra was take care of your brothers. And so while I was holding this log, I wanted to quit and give up. I thought it was kind of a stupid exercise. And now I’m tired. And I don’t want to, but they kept repeating this mantra, like take care of your brothers. What ended up happening is a whole bunch of people that were in the audience jumped up and helped us hold that log up in the air. See, when I thought I couldn’t do it anymore on my own. And I was failing, my arms retired and I wanted to quit on myself. But I wasn’t going to quit on those guys. And everyone that saw it that saw us doing this and struggling to hold this thing up in the air, they jumped up on stage to help us lift up this log. And I realized that I can’t do it alone. 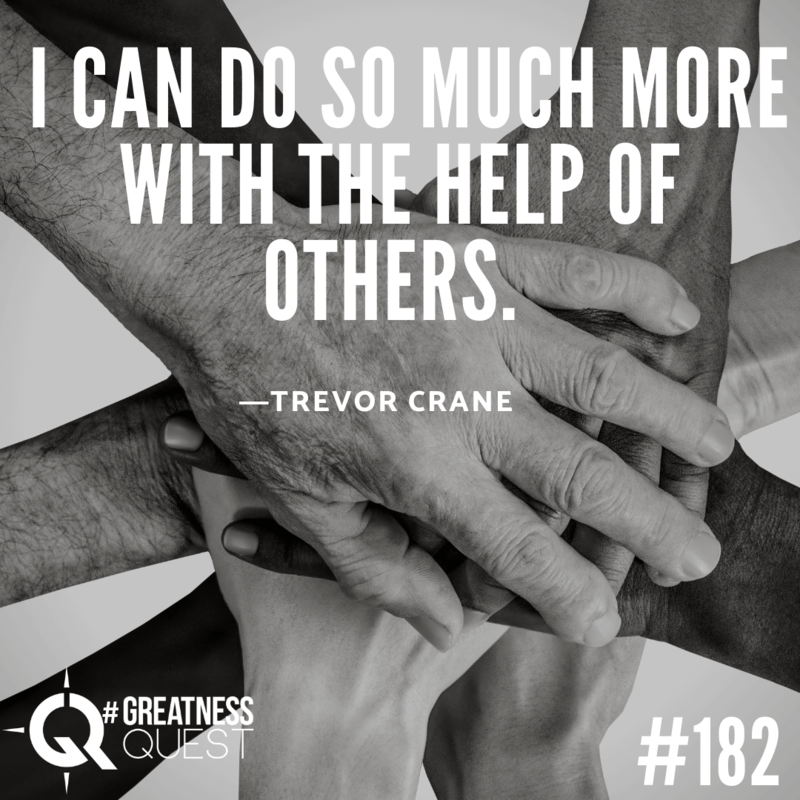 And then I can do so much more with the help of others. And what ended up happening is, they’re taller than me. And so they lifted up this log and now that log could have stayed up there for forever. Because we now had hundreds of people trying to help lift it up. I need your help with the goals that I have set in my life and I’m sure that the you need people’s help as well. So I’d like to be one of those people that help you create a really big goal for yourself and be able to set it and achieve it and book. And getting books done was one of the coolest things I’ve ever done for my business, my life, my brand and my legacy and I want to help you not just get your book done but some of the other cool stuff as well. So please join me in this journey and find out the details by going to epicauthor.com​. I’m more want to just enroll you in this mission. Man, I do want to sell you anything if anything I want to sell you on the possibility of what you can create. So please go to ​epicauthor.com​ sign up for the little training and if you’d like to join me on this journey I can show you how you can get your book done and not have a cost you anything that happened make you a bunch of money and make a difference in people’s lives for a long long time. Please go to the ​epicauthor.com​, check out the details and Oh and I said that epicauthor.com​ give you this if you haven’t done so already to get this book you can just go to my website ​trevorcrane.com​, click on the link and I send it to you for free and you’ll get the coolest stuff that I have that come with it. Or go to ​trevorcrane.com/bigmoney​ and you can get right to the link where you can just get this book and I’ll send you a physical copy. It cost me more money to send it to you than the seven bucks that you’ll pay in shipping to receive it. But it’s my gift to you, if you like it make sure you get that. And I’ll see you tomorrow another daily dose of greatness quest.